Arthritis of the hip can have several causes, the most common being osteoarthritis, also known as degenerative arthritis. Other causes include inflammatory conditions such as rheumatoid and psoriatic arthritis. Also, prior trauma or infection to the hip can cause arthritis. A history and physical exam along with radiographs (X-rays) will help to make the diagnosis. Symptoms include pain with activity, swelling, decreased motion and possibly a deformity. Pain from hip arthritis is typically located in the anterior groin. Radiographs will show decreased joint space. Treatment usually begins with activity modification, physical therapy, walking aids such as a cane, non-steroidal anti-inflammatories, or steroid injections. If conservative treatment fails to give relief, surgery may be indicated. 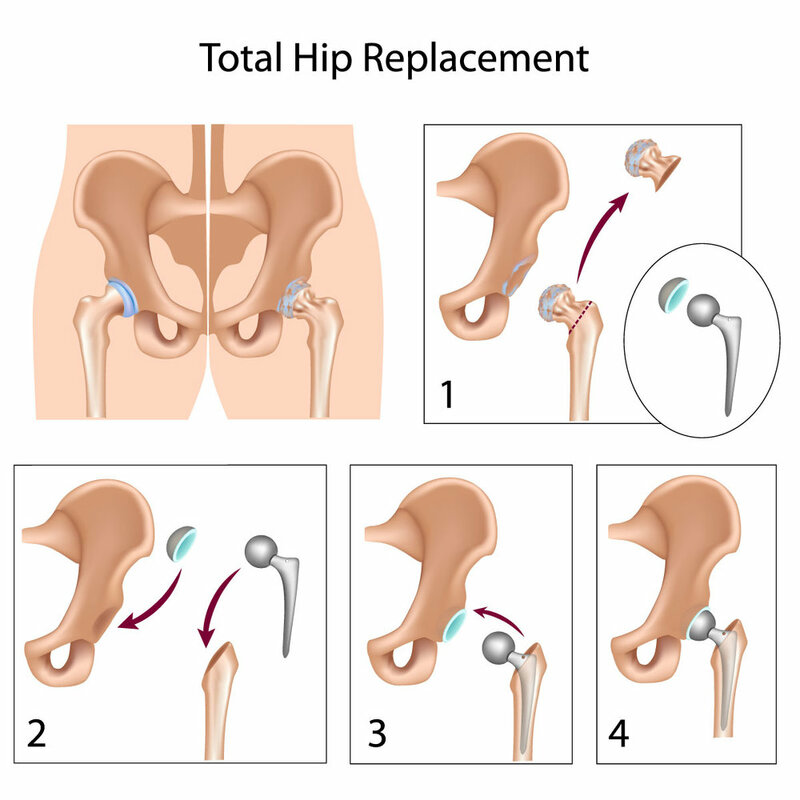 This could include replacing your hip with a new hip joint, called total hip arthroplasty. This involves replacing the diseased joint with one made of metal and plastic. Drs. Fernando L. Sanchez and Charles R. Billings practice at Tulane Medical Center in New Orleans. They are fellowship-trained Orthopaedic Surgeons specializing in Adult Joint Replacement Surgery. The additional training they received in joint replacement surgery is considered to be among the best in the world.